The popularity of VPNs is growing rapidly, mainly because people are more privacy-minded than ever before. Internet users use VPNs to protect important personal and business-related information from unwanted snoops. Furthermore, VPNs enable many users in countries to view content which was previously unavailable for them. In this article, I’ll talk about the hype around VPNs, what a VPN exactly is, how it works and why you should be using one as well. 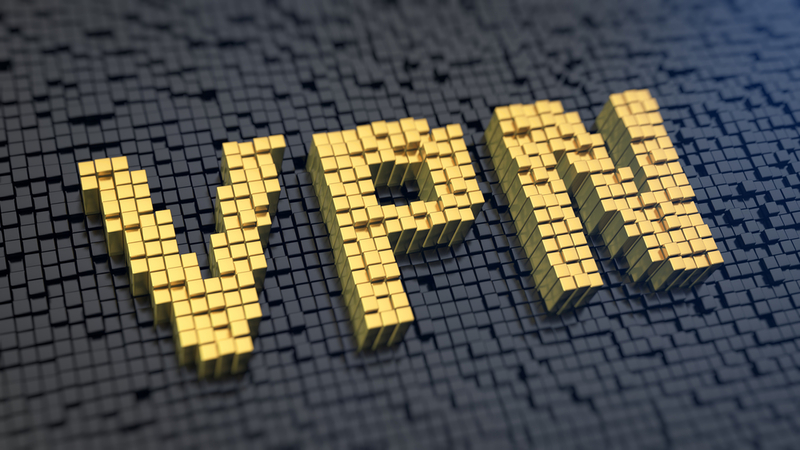 A Virtual Private Network (VPN) is a software tool you can use in order to connect through a secure, private and protected network connection to the internet using a computer or smartphone. The VPN server hides any online activity of connected users. The VPN client software can be installed on your desktop, laptop or mobile device and works as follows. VPNs route all your online traffic from the connected device through one of the servers of the VPN. The VPN is designed to hide your real IP address, which means that you can access online content and other services that were previously unavailable from your actual location – if content is IP-restricted. The software of the VPN encrypts all of your traffic, even before you connect to another Wi-Fi connection such as your Internet Service Provider (ISP) or open network in the library or coffee shop. Thus, the data that is being transmitted from your device travels to the server of the VPN first. Then, the VPN will connect you to your online destination – you initial browsing intention. As a result, the web destination won’t be able to identify you or your location because your data is coming from the server of the VPN and the location of that server – your true location is now hidden! The destination URL collects traffic and data from the VPN server as the original source of input, instead of you. Since your true IP is hidden, your ISP for example, won’t be able to identify, collect or monitor your internet activity, because – again – the source of data is coming from the VPN server. So, websites you visit, your downloads, etc, are all hidden from prying eyes. Your internet traffic is fully encrypted, which means that even in case someone would be able to intercept your data, it’s in encrypted (unreadable) format and not in plaintext (readable data). A VPN provider is a way to enhance your online security and privacy. Generally speaking, VPN users can be placed into a few different categories and use a VPN for different reasons. Quite recently, President D. Trump signed a law, allowing ISPs to monitor, collect and share user information to third-parties. The ISPs are allowed to gather all of your information without any consent from you. If you don’t want your internet activities and online data to be sold to digital advertisers, it’s time to install a VPN. Proper VPNs are incredibly effective to stop your ISP from monitoring and collecting data. A VPN server groups all the internet activity from all its users that connect to one particular server, making it seem like all traffic is coming from one address. Most VPNs have a lot of servers around the world, you can simply choose what server you want to connect to. This means that if you’re close to another server, you can easily change your IP address as well. The VPN makes it look like you’re connecting from a very different location than your true physical location. Thus, you can easily access content that might be blocked in your country or region or censored by the government. Users can easily access U.S. restricted content on YouTube while being outside the U.S. by simply connecting to a U.S. VPN server. A VPN encrypts all the in- and outgoing traffic of your connection. This feature makes it almost impossible for outsiders to take a look at your activities. Even if your data is intercepted, it’s in encrypted format and useless to the snoop. The encryption feature is especially useful when you connect to public Wi-Fi hotspots such as “Free Airport Wi-Fi” or “Cafe-Bar Free Wi-Fi”. If you connect to such a network without VPN, everything – credit card details, usernames, passwords, etc – you enter is openly visible to anyone. It works similar when accessing Netflix, Hulu and other streaming websites. Torrenting software publicly keeps logs of IP addresses downloading files. However, a VPN keeps your file-sharing connection absolutely private. Your downloading activities won’t be visible to anyone.